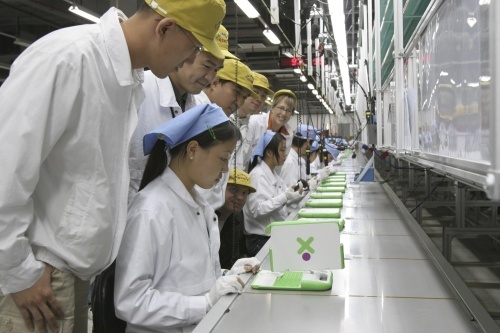 The Washington Post has a really cool report from the recent deployment of the One Laptop per Child’s (OLPC) XO Laptops in Peru. Children’s minds are being opened to the world of possibilities which is set before them. “Some tell me that they don’t want to be like their parents, working in the fields,” first-grade teacher Erica Velasco says of her pupils. She had just sent them to the Internet to seek out photos of invertebrates _ animals without backbones. Antony, 12, wants to become an accountant. Alex, 7, aspires to be a lawyer. Kevin, 11, wants to play trumpet. Saida, 10, is already a promising videographer, judging from her artful recording of the town’s recent Fiesta de la Virgen. It seems like Washingtonians use the Christmas season as an excuse to take a break from their normal day to day and throw one crazy company party. Well instead of just throwing any old Christmas party, the DC technology community decided to do something different. With the help of master organizer Peter Corbett, the DC technology community had the first annual Technoliday Party. 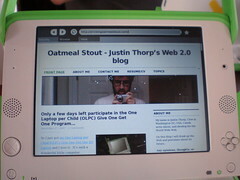 At the very chic Lotus Lounge, about 100 of us got together to mingle and chat about our recent tech ventures. The thing which made the night special for most was that proceeds from the party were going to support One Laptop per Child. When all was said and done, over $2500 dollars were raised. Half will go to laptops for children in developing regions of the world and half will go to laptops for kids in the Washington DC area. Over all it was GREAT success and a great way to bring the community together for one of my favorite causes. I hope we do it again next year. 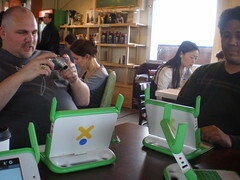 It’s so exciting to hear that One Laptop per Child has started mass production of their XO Laptop ($100 $200 laptop). 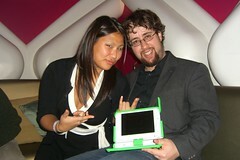 Congrats to the whole OLPC team. You guys are heroes. I’m excited to see the effect that these efforts will have around the world.